The total number of Agents4Change since Dance4Life started in 2004 is now almost 900,000 - and we are proud to say that our total reach is now over 2.1 million young people. 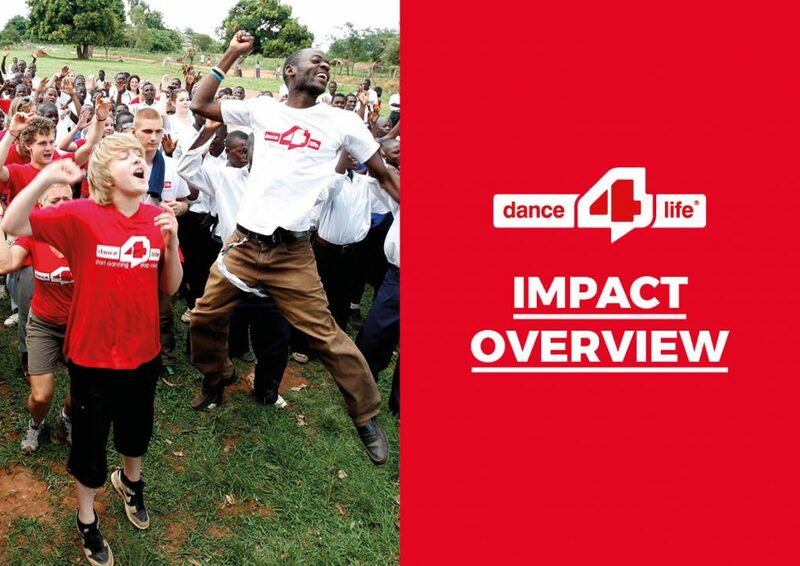 We also know that each Agent4Change shares acquired knowledge with an estimated 5 other people, meaning that Dance4Life has indirectly reached over 4 million individuals! Dance4Life continuously builds evidence on how our model empowers young people and contributes to decreasing three of the biggest sexual health threats that young people face these days: HIV, unwanted pregnancies and sexual and gender based violence. We specifically focus our research efforts on the impact that the Dance4Life empowerment model has on determinants of behaviour change (confidence, gender equal attitudes and social norms) and how changed behaviour actually contributes to the impact on sexual health of youngsters globally. All of these findings are illustrated with a few country-by-country case studies that paint a more precise and personal picture of what we’ve achieved and we continue to strive for.